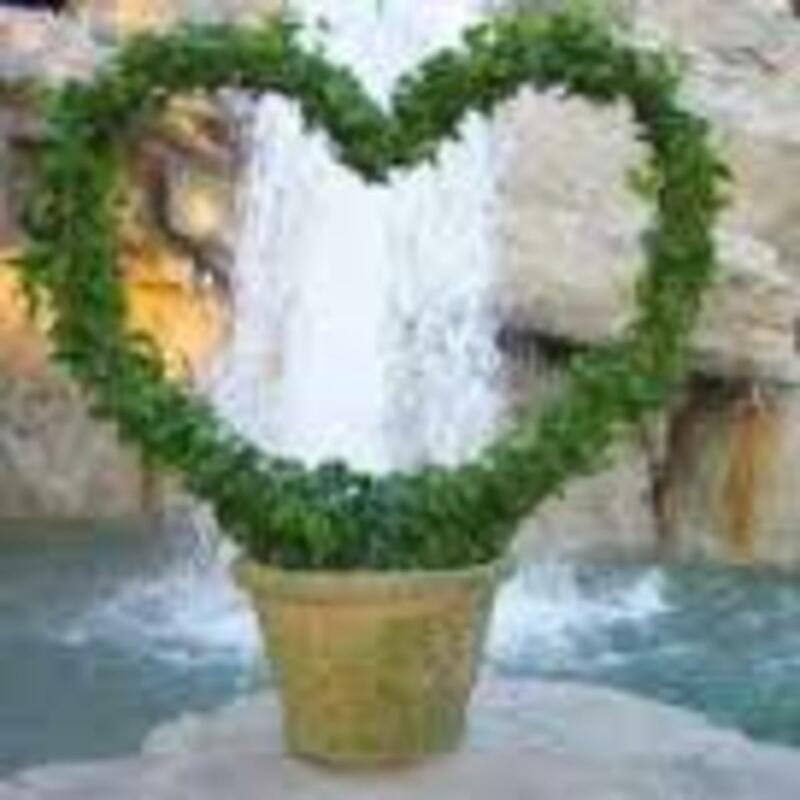 A topiary is a plant that has been sheared into any desired shape. The name Topia originated in ancient Rome where ornamental gardens were tended by slaves, known as Topiari. Topiaries can be found in a limitless range of shapes, they can be purchased already formed or you can create them yourself. 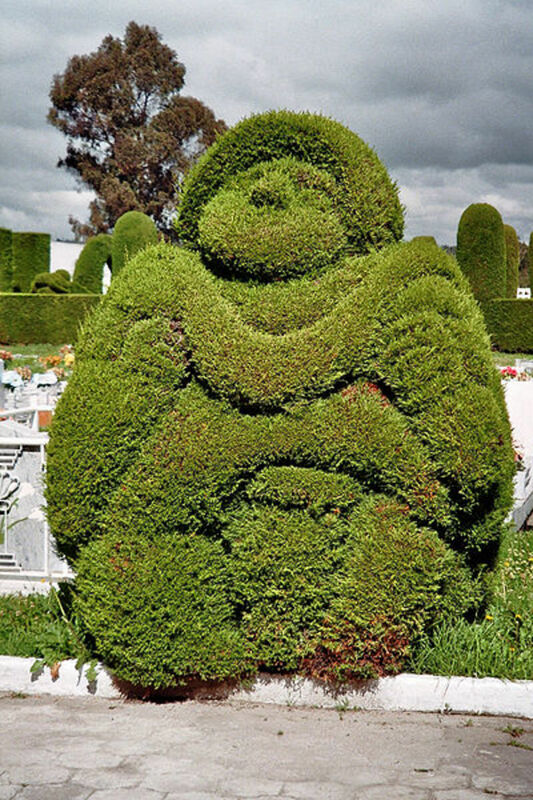 Some topiary shapes are: triangles, cubes, spirals, spheres, tiered globes and even small animals and birds. The Rosemary plant prefers warm and dry climates but is forgiving and will grow anywhere in zones 8 to 10. It likes light, alkaline soils that drain well. In cold climates, rosemary can be treated as an annual, or grown indoors or in a greenhouse. 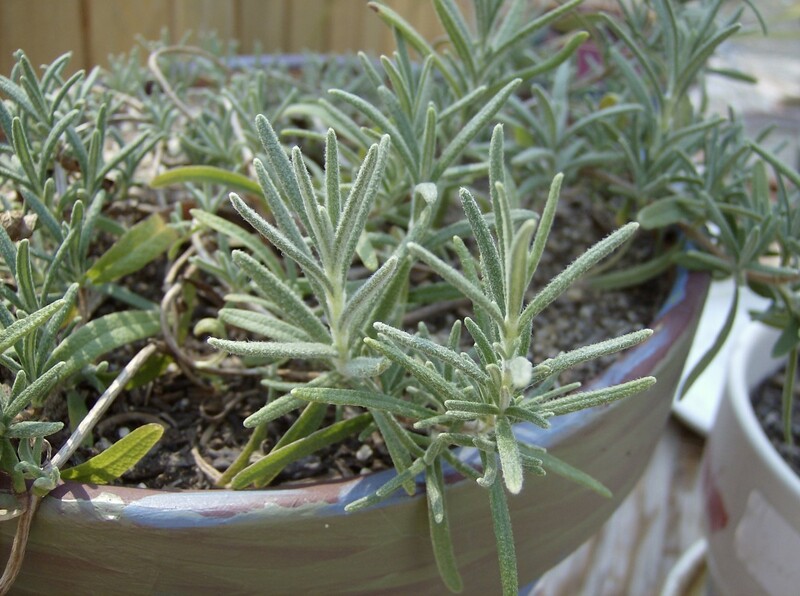 To grow Rosemary indoors as a houseplant, it would be best to place in a bright window or under a plant light. Mist the plant often and water when the top inch of soil is dry to the touch. A cool, well-ventilated spot is best. Harvesting the tips of the branches will encourage bushier growth. Rosemary the herb, grown in the garden can make a beautiful edging and is very suitable in a rock garden. 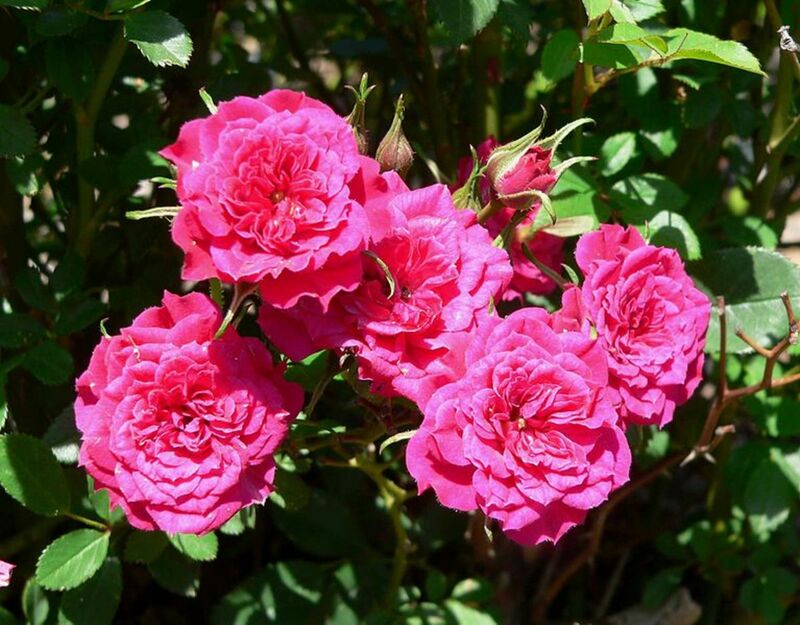 The trailing form is excellent in containers, on slopes or hanging over a wall. Planting alongside other herbs, in an herb or kitchen garden. Rosemary can be pruned into topiary shapes, such as standards or pyramids. The flowers attract bees and other beneficial pollinators. Containers can be found and are available in many different shapes and sizes. First think about how big your plant will be,and what size a planter you will need, consider a size that is right scale for the area where you intend to use it. What type of material do you want to use, consider the weight. Will you need to move it around, if so, then you would want to consider using a light weight material, such as plastic, fiberglass, or foam. Many of these new containers are very decorative and lighter in weight. and are more portable than the heavy ones. 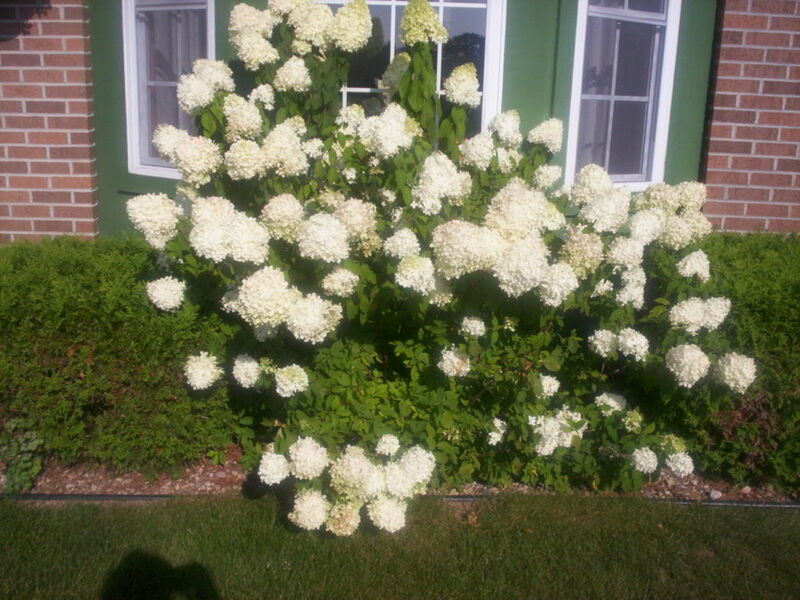 A Topiary can be made from woody perennials and some flowering plants like, hollies, ivies, boxwood, and hydrangeas. The herb Rosemary is useful in the kitchen, beautiful in the garden, it can also be trained and trimmed into ornamental shapes. 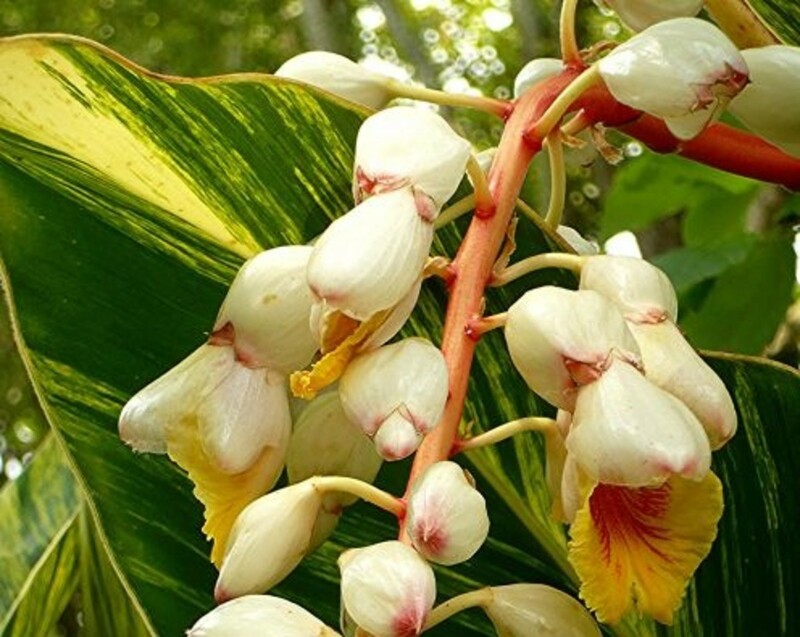 It can be grown as a hedge, for fencing or border purposes, but it also can be ornamental as well. Growing your own Rosemary Topiary is a rewarding experience, watching it grow into the desired shape and then clipping and trimming to keep it as such. Training and trimming a Rosemary plant into a topiary takes time but is rewarding to do. 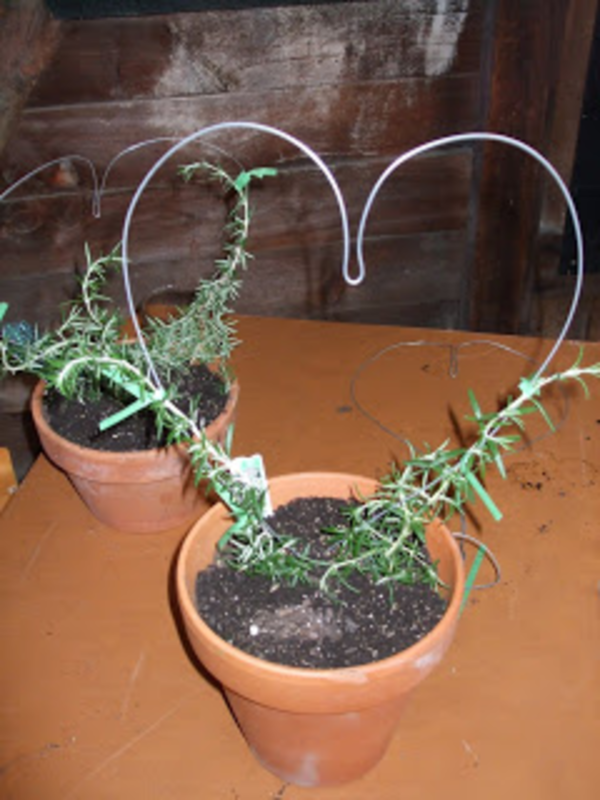 There are many other plants that you can use to shape into a topiary., however, the Rosemary for me is the best choice, as it has other uses as well, when my Rosemary needs a clipping, I can take the branches, shape them into a wreath by tying them onto a wire circle. I then hang the wreath in my kitchen and pinch off bits as needed for cooking. The added bonus is the wonderful scent. The Rosemary Topiary makes for a great and practical housewarming or hostess gift. Also makes for a very pretty living table setting. 1. While using the pliers, shape coat hanger into a circle or heart , bend the last 3" of wire at each end at a 90-degree angle and pushing them straight down into the soil near the sides of the pot. 2. Twist the stems of the plant around the circle or heart and secure them in place with the floral wire. 3. 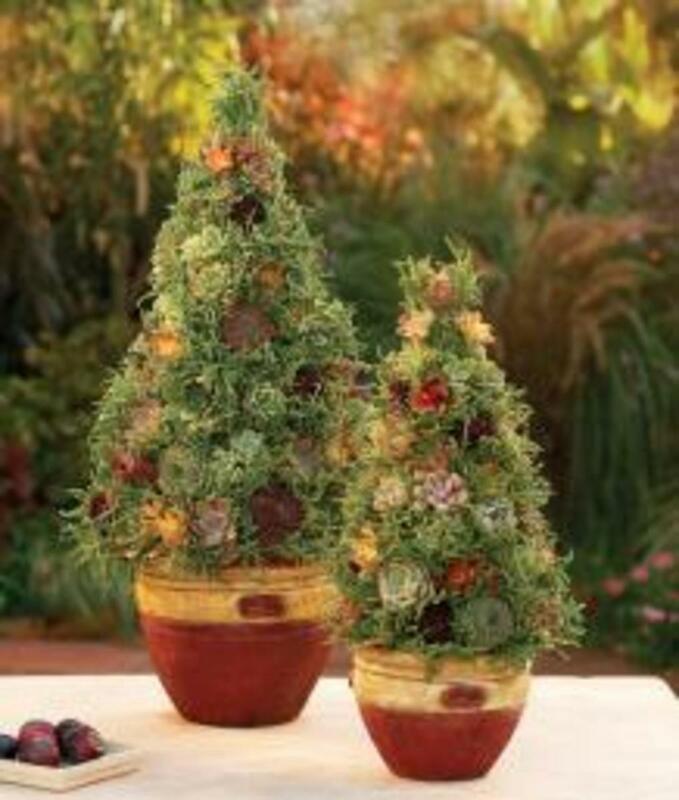 If you wish you may decorate the topiary with dried flowers. 4. Set the pot into your decorative pot or basket. 5. Embellish with a bow. This is the first I have seen one of these. Rosemary is a perennial herb. It has needle- like leaves that grow on a woody stem and branches..Rosemary has many culinary uses. The leaves are used to flavor various foods, such as stuffing's and roast meats. Growing your own Rosemary Topiary is a rewarding experience, watching it grow into the desired shape and then clipping and trimming to keep it as such. 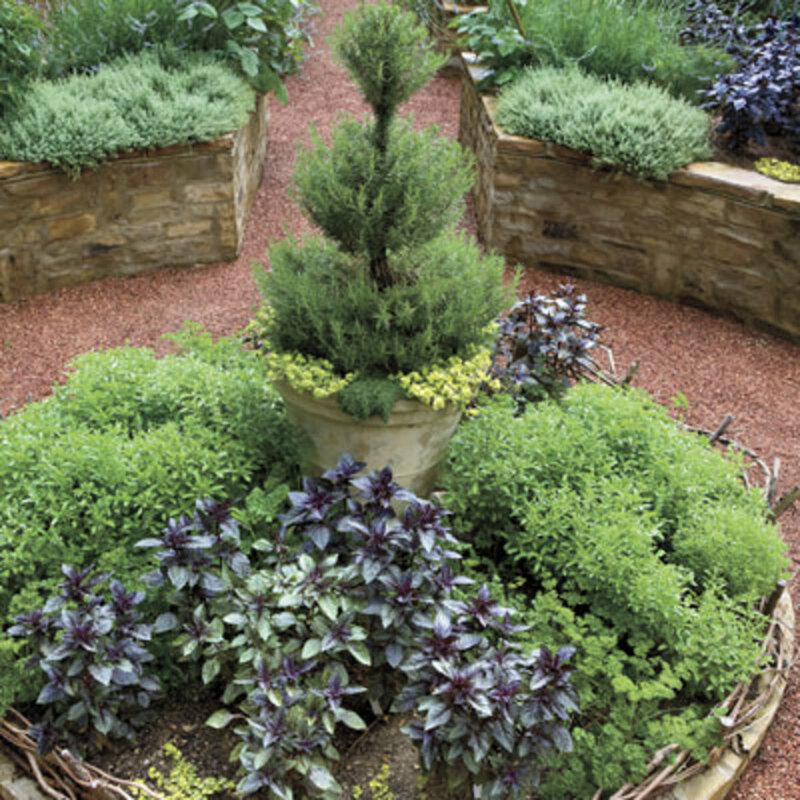 Rosemary branches can be shaped into wreaths by tying them onto a wire circle. Hang the wreath in a kitchen and pinch off bits as needed for cooking. The added bonus is the wonderful scent. Training and trimming a Rosemary plant into a topiary takes time but is rewarding to do. How to Grow, Cook, and Benefit Health-Wise from Ginger - Cookie Recipe Included! Your rosemary topiary is so pretty! I've never tried this but it certainly looks doable and would make an excellent gift. I live in a cooler area but have grown rosemary successfully in a protected spot with southern exposure. But the last very cold winter did my large rosemary plant in. This is so creative. What a great job you did..Love rosemary ...VotingUP.